I haven't posted in quite some time. But I'm back. And I'll continue to be. It's been a while since I've written a blog post. Life has gotten in the way, as it often does. Not that I haven't had ideas. But I have had problems with both motivation and execution. But today seemed like a good day to start posting again. Today, I turned 44! On a few fitness blogs I read, I've seen "birthday challenges". 30 reps of 3 exercises every day of year 30. 40 reps of 4 exercises every day of year 40. 35 reps of a different exercise each day they're 35. Sounds like fun! 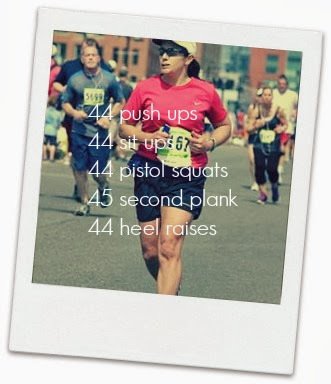 44 reps of 5 exercises each day I'm 44! Anyway… one day down, 364 to go! In a previous post, we talked about how the chemicals in most commercially available bathroom cleaners. On top of which, the bathroom is generally the most poorly ventilated room in the house. So it makes sense that when looking to transition to green cleansers, the bathroom is a good place to start. While searching for recipes for do-it-yourself bathroom cleaners, I quickly became overwhelmed by the number of recipes out there! I found at least 20 different recipes for "DIY Bathroom Cleaners" on Pinterest alone! It's enough to make you run back to the store for commercial cleaners. I made myself a cup of tea and calmed the heck down. Then I looked more closely at the recipes. In general, the recipes contain the same ingredients, just in different ratios. So instead of throwing in the towel, I decided to pick a couple and experiment. My goal for December is to experiment with as many DIY recipes as possible and pick my favorites by the new year. Combine in a spray bottle for all-purpose bathroom cleaner. Combine in spray bottle for all purpose bathroom cleaner. Mix ingredients in bowl to form paste. Use sponge or scrubber to apply to tub, shower, and sink. Rinse with water and wet rag. Last week, I was at the playground with my niece, who was playing on the bars, swinging around and doing gymnastics. She does not go to formal gymnastics training, but she is actually quite good; a natural gymnast. I decided to teach her how to do a glide-kip. She wanted me to demonstrate. And though I haven't done a glide kip in about 15 years, I figured what the heck and gave it a whirl. To my pleasant surprise, I was able to perform the kip without much difficulty! During the course of the afternoon, while instructing my niece, I performed about 12 kips. The next morning, I knew I had made a mistake. My shoulder was killing me and I was pretty sure I had given myself a minor rotator cuff tear. Really, I should have known better! On top of this, I have been trying to get back into triathlon training and have been doing a lot of weight training. Now I had an injured shoulder! But I decided not to let that set me back. I have a trusty TRX. 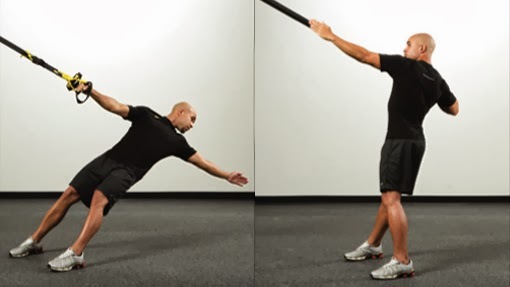 I'm a big fan of the TRX. I've used it not only for myself, but also for rehabing patients. 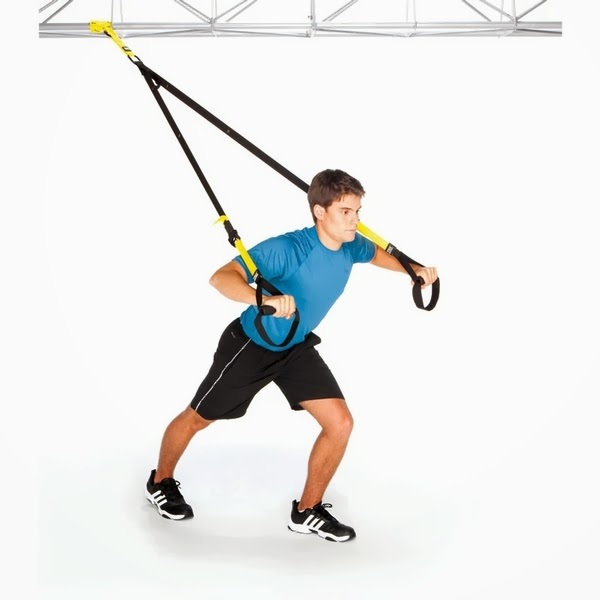 The great thing about the TRX is that it can be used to make exercises HARDER or EASIER, depending on the angle of pull. 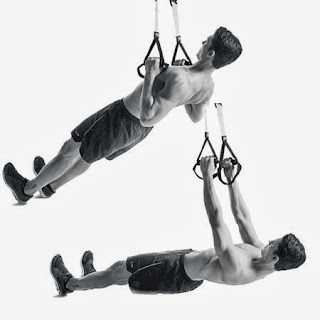 Happily, my shoulder has been healing nicely and I am transitioning back into regular pull ups, side planks with a twist, and overhead triceps extensions. (And soon, advanced TRX exercises to make the exercises HARDER, instead of EASIER. 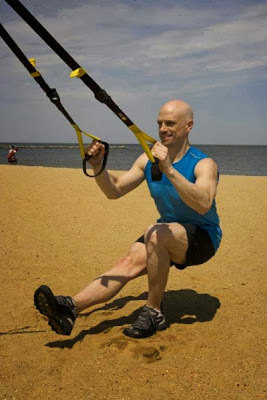 On a related note, since my flexibility is in the crapper since my thru-hike, I've also been using the TRX to assist with pistol squats, since there is no way I can do them unassisted until I become a bit more flexible! TODAY'S THANKFUL: I am thankful, on this cold cold day, that I have a nice roof over my head! 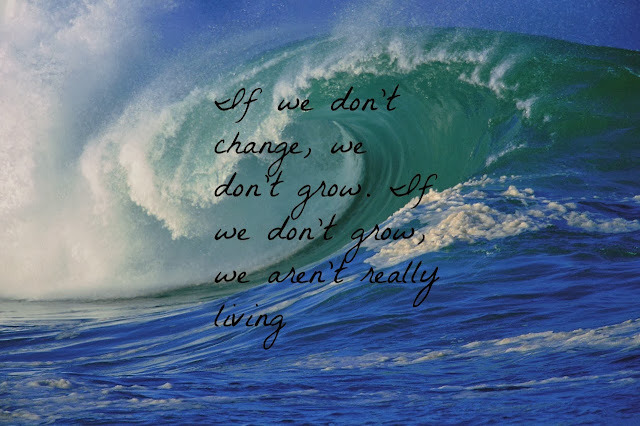 TODAY'S THANKFUL: I'm thankful for the opportunity to make changes in my life! 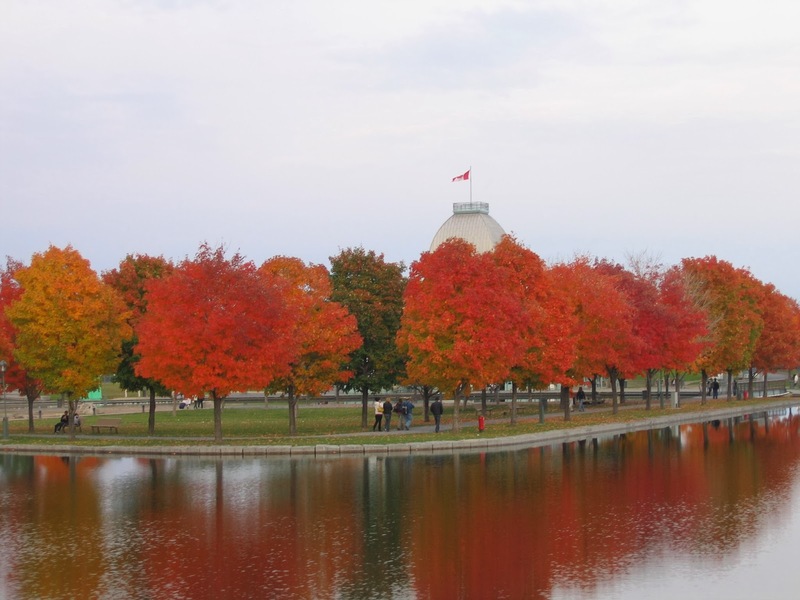 the beautiful fall foliage we have this year!! There are many things I am good at. Yoga is not one of them. I can hike and run and bike and swim and roller blade and do cartwheels until the cows come home without exerting myself all that much. But yoga? Yoga makes me feel like the most out of shape person on earth. I figure that is exactly why I should be doing it. When I broke down and joined a gym last week (it was cold, rainy, and windy outside), I took advantage of the free fitness screening they offered to new members. The results were not surprising - excellent cardiovascular health and strength, good weight and body composition, terrible flexibility. That's what 6 months of backpacking will do to you! So I made improving my flexibility priority one of the fitness goals. I added more stretching to my daily workout regime and added 2-3 yoga classes per week to my schedule. Yoga is, of course, perfect for improving flexibility throughout the whole body. My hamstrings, lower back, and upper traps are particularly tight post hike, and the yoga classes are great for targeting these areas. After the yoga classes, I feel longer, looser, taller, and more limber. Which is great. But that's not the big reason I should be doing yoga. 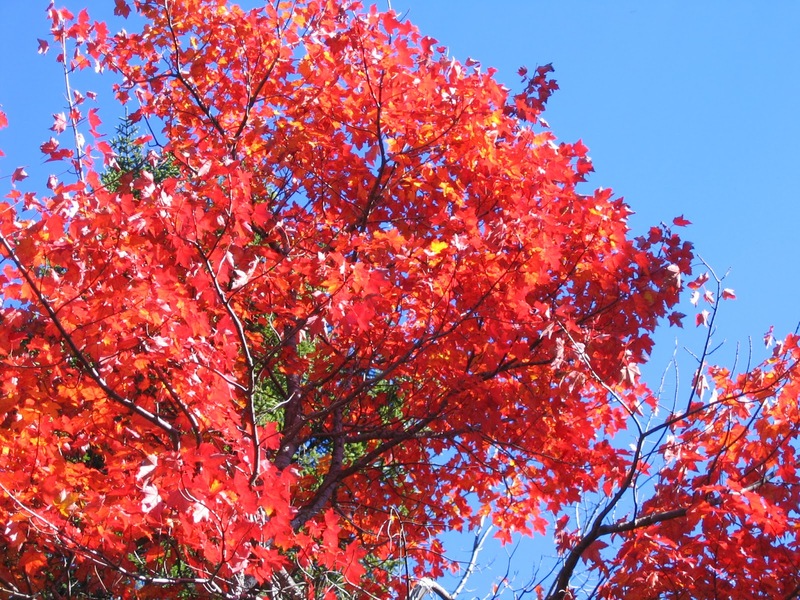 In a previous post, I described myself as a doer -- somebody who cannot sit still. Somebody who always has to be busy. Somebody who finds satisfaction in getting things done. It is a character trait that is celebrated in our society. But maybe it shouldn't be. Sometimes it seems that the busier I am, the more I miss out on. I remember last fall, when I was working so many more hours a week than I am now, I looked up one day and noticed that all the leaves had fallen and I hadn't even noticed the foliage. I've noticed the foliage this year. But I feel guilty about it. I feel like I should be doing more, getting more accomplished. I feel like I'm not doing anything worthwhile with my time. According to Bhole Prabhu the ultimate goal of yoga is "helping human beings to become aware of their deepest nature." The disciplines and techniques of yoga are specifically designed to "create a sense of inner peace, harmony, and clarity of mind." Yoga teaches us that enhancing our consciousness and mindfulness are far more worthwhile than keeping busy for the sake of being busy. When I'm on the yoga mat, struggling to master the poses, focusing on my breathing, trying to keep my balance, I find that I learn more about myself than from any of the other activities I find so easy. I learn not just about my physical body -- where I am tight, where I have pain -- but also where I tend to hold my emotions. What those pent up emotions are. And why I tend to repeat patterns that bring up the same emotions over and over again. When I'm on the yoga mat, I'm able to stop being busy long enough to actually get something done. TODAY'S THANKFUL: I'm thankful for yoga. I'm Pink Lady- avid hiker, runner, all around outdoor girl. I've embarked on a journey trying to green up my life off trail. This blog outlines my experiments, both good and bad, as I learn natural alternatives to modern living.